Better Every Day starts today! By clicking on this page, you just took your first step toward a better tomorrow. Congrats! Next is to come check us out in your free intro session. You’ll get to see our fabulous facility, chat with our friendly coaches, and meet our members - who come in all shapes, sizes, ages, and ability levels. Sign up now! We can’t wait to meet you! Come on in for your free intro session and see why you’re going to love transforming yourself at FOE CrossFit. See our facility, meet our members, chat with our coaches, and find out for yourself what a real fitness family is all about. Simply fill out the form and someone from our team will contact you shortly to discuss the best time for you to come in. 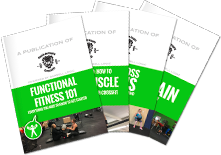 We are also happy to help answer any questions you might have about training at FOE CrossFit. We look forward to meeting you!